Here’s something new from Italian Swiss brand, Cavenago – the Don Giovanni which takes its name from the famous opera with music by Mozart and Italian libretto by Lorenzo Da Ponte. The opera is based on the legends of Don Juan – like him the new Cavengo Don Giovanni is well versed in the art of seduction with its unique bezel configuration and brightly burning blue hands and markers. 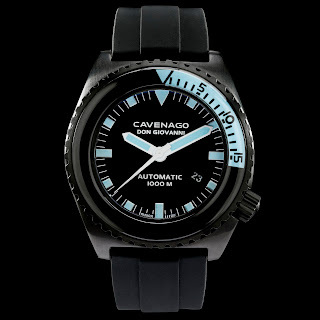 Basic specifications of the watch include: a 316L Stainless steel case measuring 46mm in diameter with a brushed, black PVD finish. 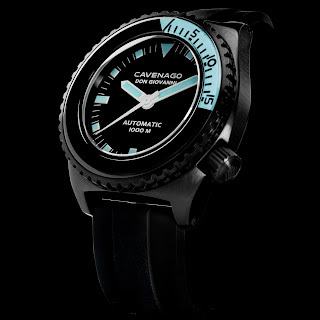 Divers features include: a dome Sapphire crystal, a screw-down crown and case-back and 1000 meters of water-resistance. 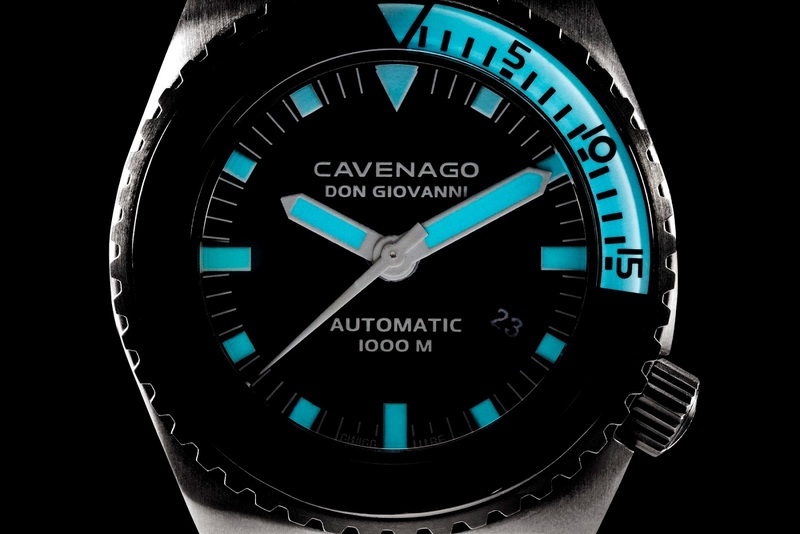 Power comes from a 25 jewel, Swiss Made ETA 2824-2 automatic movement – the functions of which include: hours, minutes, seconds and date display in window. 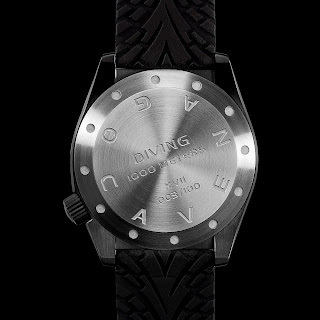 The 2824-2 has a beat-rate of 4/28.800 vibrations per hour. The Cavenago Don Gionanni Ref. 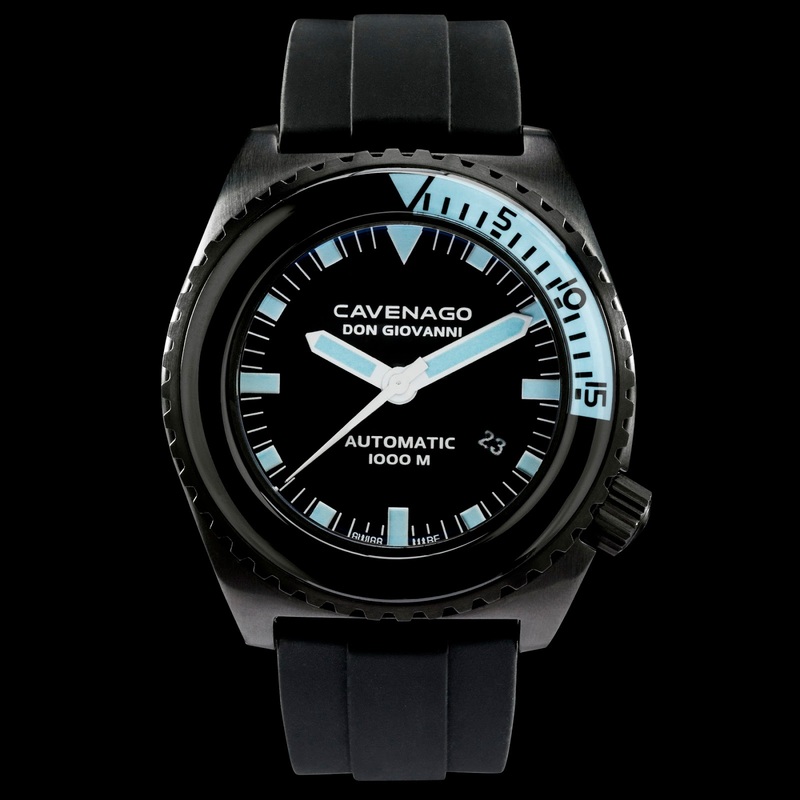 CAV-1022 has been hand-assembled in Switzerland. 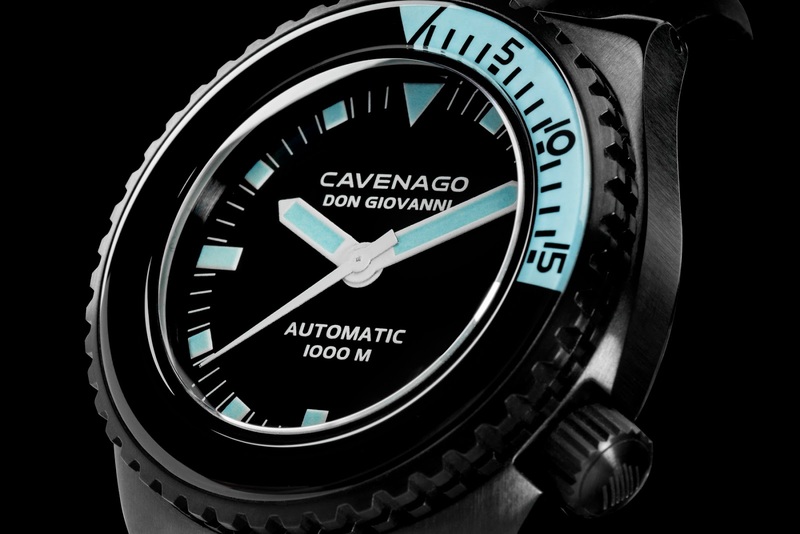 It is Limited Production piece of 100 examples per year. 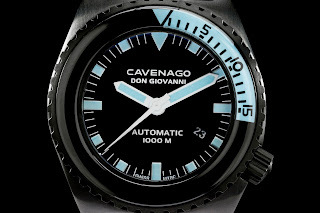 Please follow the link embedded, below for information on the new Don Giovanni and OTHER diver’s models from Cavenago.